Do you live in an older home? Do you have living areas where your main furniture is away from the walls? Do you hate unsightly cables and cords draped across the floor? If you can answer yes to any of the above, then you’ve probably found yourself short of power with nowhere to plug in a Lightning or other charge cable. If so, Mega Tiny has a very creative solution that may be just what you’ve been looking for. The Powerbulb is a 608 lumen LED lightbulb with two built-in Type A USB ports. This gives you the ability to turn any lamp in your home into an instant charge station. It is able to charge two devices independent of the bulb’s operation. It even has the capability to balance the power output based on the remaining charge of the connected devices. It is a simple, yet cool and creative design that will help you get power where and when you need it, while cutting down on clutter. 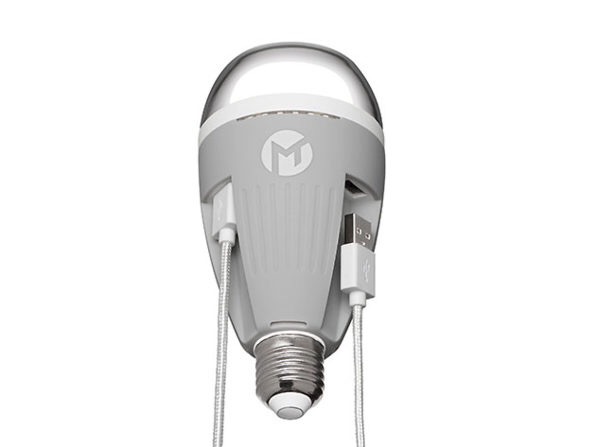 Our Deals site is currently offering the Powerbulb Charging Lightbulb from Mega Tiny for $29.99. Powerbulb is the world’s first LED light bulb to transform an ordinary lamp into a high-powered charging station. 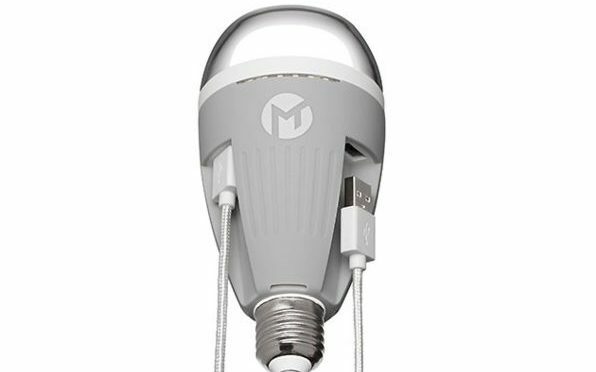 This efficient bulb emits 608 lumens of light while simultaneously charging two USB-compatible devices through its built-in ports. It’s a simple, elegant solution to a lack of outlets and lets you do more with less.